The Annual Sweet N’ Stickey in Dickey Cook Off was held on Saturday, July 9 in Dickey, N.D. 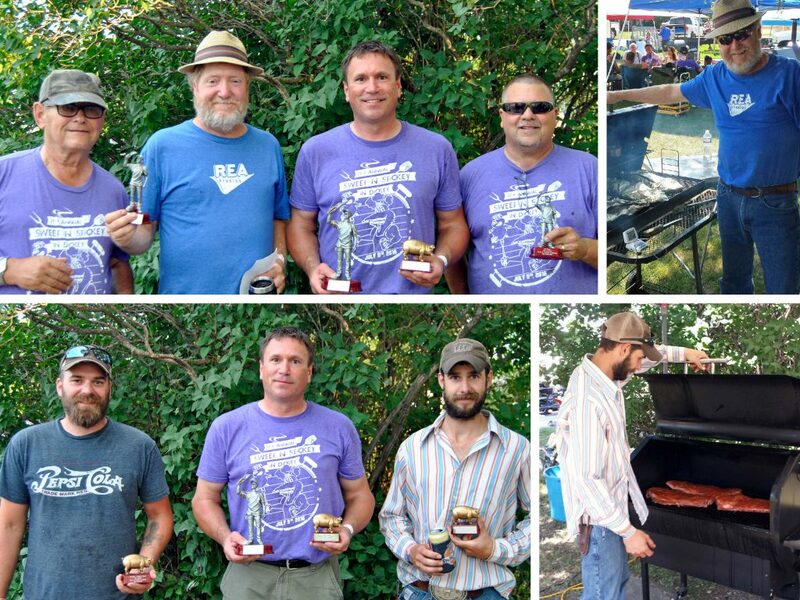 In its seventh year, the event showcased 33 cooks, all hoping to win a Sweet N’ Stickey in Dickey trophy and generate donations for Hospice of the Red River Valley. Approximately 400 people enjoyed 450 pounds of ribs, 45 pounds of pulled pork and numerous donated salads and desserts at the event. More than $7,000 was raised for Hospice of the Red River Valley in memory of loved ones who have been cared for by the organization. The Judge’s Choice winners were: first place—Chad Carpenter, second place—Tom Kartes and Dennis Lewis and third place—Bob Willits. The People’s Choice winners were: first place—Chad Carpenter, second place—Justin Moser and third place—Adam Johnson. The Eighth Annual Sweet N’ Stickey in Dickey Rib Cook Off will be held on July 8, 2017. Join the Sweet N’ Stickey in Dickey Rib Cook Off Facebook group for future updates.